We finally set down at Narita airport and had just gone through a lengthy immigration line. Though the wait was made incredibly longer due to the fact I had checked in luggage while CC didn’t. CC went on ahead while I waited for the conveyor belt to spit out my trolley bag. In retrospect I’m glad I did bring it since I bought a lot of stuff on the day before I came back from Japan and would have died if I had to carry it. Anyway moving on I met up with CC at the JR reservation station where I had my JR receipt converted to the Japan rail pass which I would start using on the 14th till the 20th. This pass would allowed me unlimited travel for 7 days on any JR line mode of transportation (they have it in 7,14,24 days) but since I only bought the 7 days version and only decide to use it on the day I head to Kyoto, the first few days that I’m in Tokyo, I would have to pay for all the train rides. Which was relatively cheap and I had already budgeted this in. 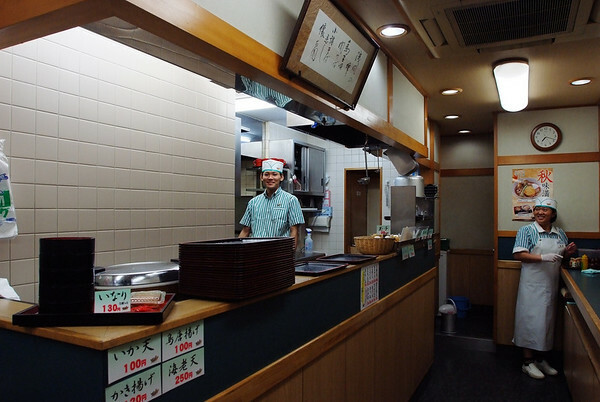 Now the issues at hand was to take what train to head down to the Kanda station where our hotel was located. 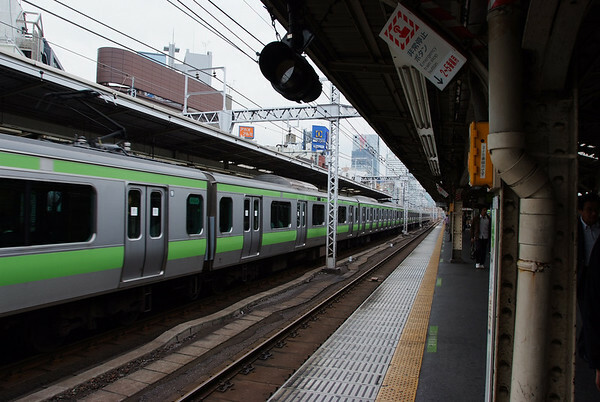 CC recommended that we take the keisei line to save money as it was cheaper, in retrospect I think riding the Narita express would have been better but then it’s a new experience and I didn’t mind riding on a 2 hours train ride versus the Narita express’ 55 minutes. So we bought our tickets and got on the train which was empty as it was the end of the line since everyone had gotten off except for that one lady who had overslept pass her stop which I nudge her awake as I figure she had slept pass her stop. 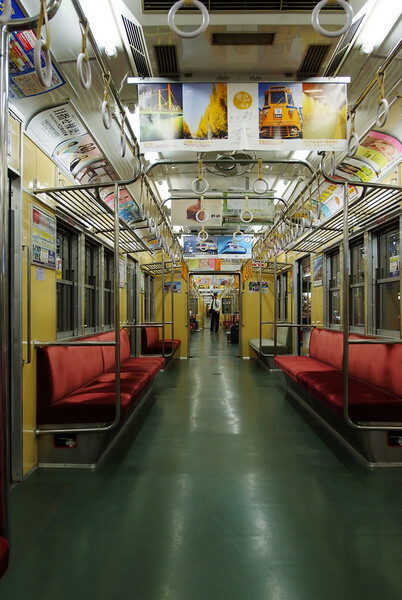 I had like how the train was completely empty so I decided to take a shot of it’s empty atmosphere. The after taking the shot I notice the guy at the far end but decided to keep it nonetheless. Also it should be noted that it is illegal to take a picture of somewhat even in public without their consent in Japan so I had to be careful of what I took and try not to have people in it. Maybe black and white would have improve this picture. The train started to move and off we went on our 2 hour lengthy ride, we were drowsy but happy as we were finally in Japan! 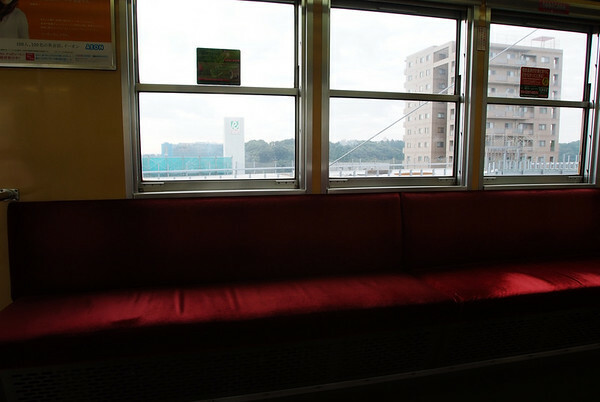 We started to see signs of Japan life as people got on the train and we saw the landscape, take note that the train we took was underground and would eventually reach top side. I had actually taken many exposure of this pic but none capture what I saw due to the metering completely getting it all wrong every time. So I switch to spot metering and metered on the seats and the windows then divide the shutter speed and the set my camera using manual mode to get the correct exposure. So tip here, use spot metering get the values then average them to get the correct value which you then set using manual mode. I soon put away my camera as there were a lot of people getting on the trains and I was still worry about the Japan no photos of people rule. Also I was tired and thought I might try to get some shut eye. 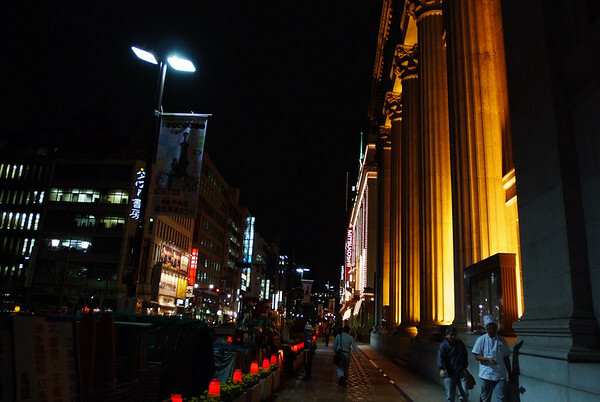 Eventually we managed to get to Kanda station after switching onto another train at the main Tokyo station. This is where I got my first taste on riding on Japan trains system, everything was so automated and CC realized that even though he can communicate well in Japanese but it’s not about whether you can communicate or not, it was the speed these people were communicating at. 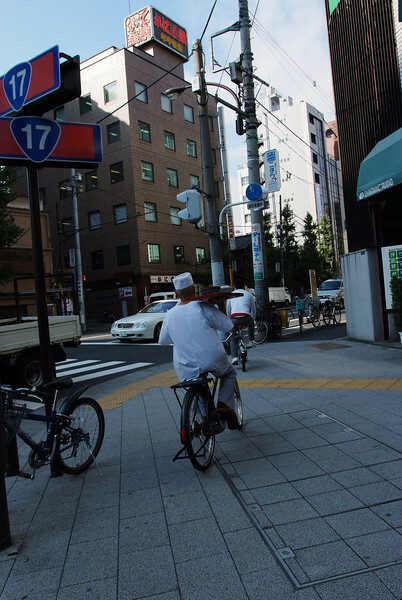 In short, we barely kept up and I got worried about how I would fare when I went off on my own to Kyoto in a few days. We had reached Kanda station where we then tried to locate the hotel but was having trouble getting our bearings correctly, fortunately a nice Japanese gentlemen pointed us in the right direction although I suspected that he may have mistaken we were going to the Grand central hotel which is near to the New central hotel we were going to (they are a chain of hotel franchise we differing prices) but after a while or so we managed to locate it. At the hotel we were told that we could only check in at 4pm but that we could leave our luggage there and it would be moved to our rooms when they were ready. 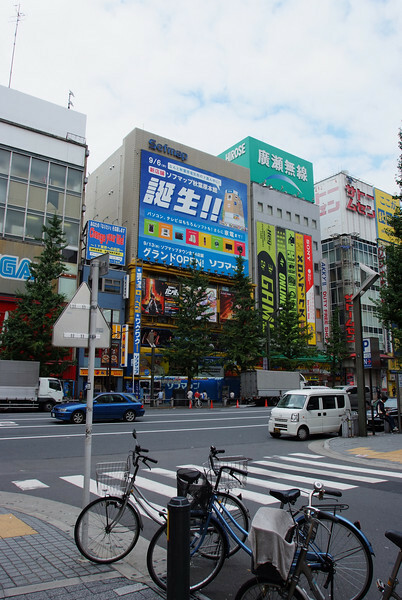 So with the majority of our baggage off our shoulders (literally) and with many hours to kill (it was 10am) it was take to head to the first objective of the day, AKIHABARA! I could now take out my camera again to start shooting since I didn’t have to lug around my trolley bag. 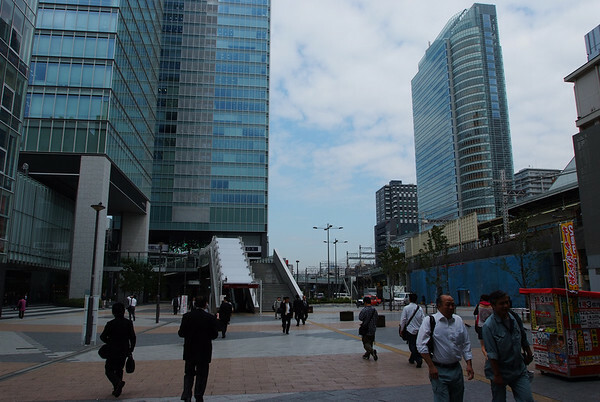 We headed back to the Kanda station and bought our tickets. 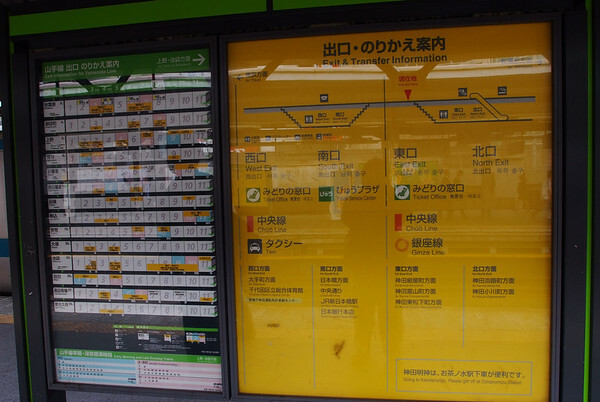 Although once again we were a bit lost on how to read the maps and we again tried to locate which trains to ride on. 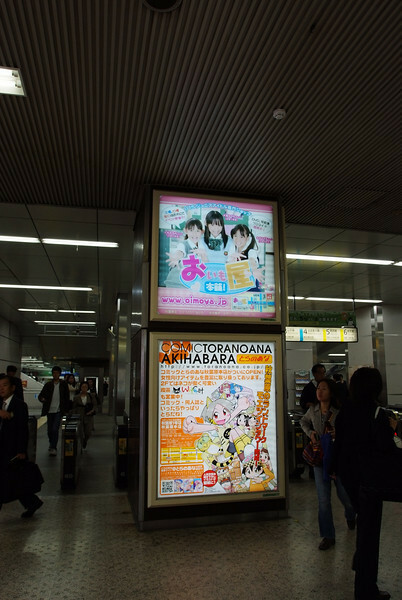 Note to those heading to Akihabara from Kanda, take train on line number 3 for the morning and afternoon time but take the line number 2 during the evening time. As I eventually memorized. 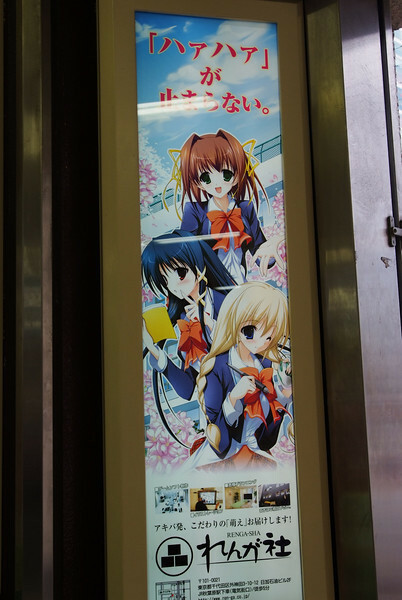 Once again I am further reminded of how much of an invalid I was when I was in Japan on that first day as I couldn’t make heads or tail of this information poster on the trains. 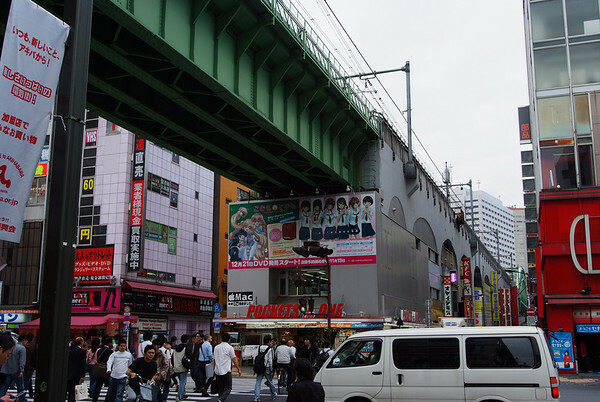 Soon we stopped at the Akihabara station and we saw the first sign of where we were, I got sick and tired of the no photo rule that kept on ringing in my head and told it to go to hell and took these. Proof that we were getting close to our objective. 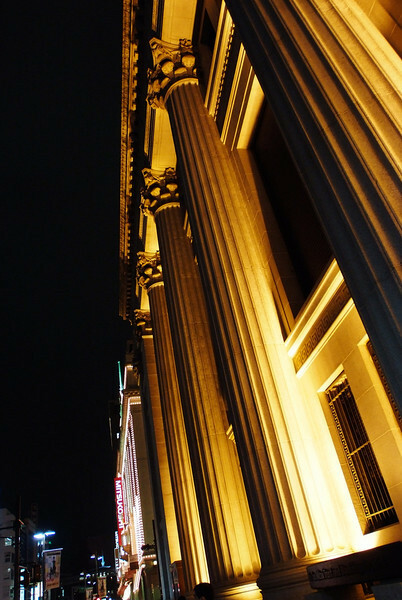 Upon seeing this, the fatigue that had been plaguing us during the flight here started to lift as adrenaline started to pump through our bodies and we made haste to through the train station. Closer, we were getting REAL close. Then we had reached the exit and yahoo! 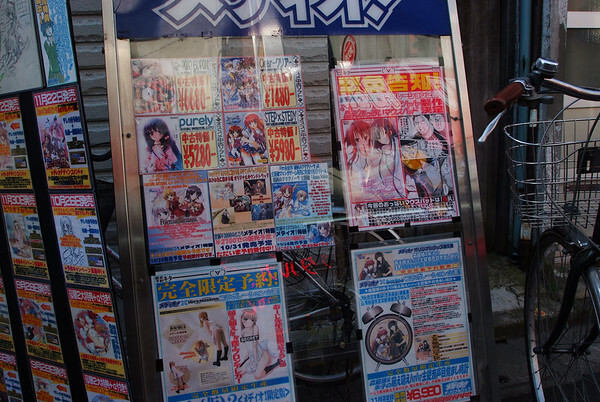 I thought we would be greeted by tons and tons of anime shops lined up in every street. Instead, I was greeted by this. Hold it right there! where are all the cute cosplay girls?! 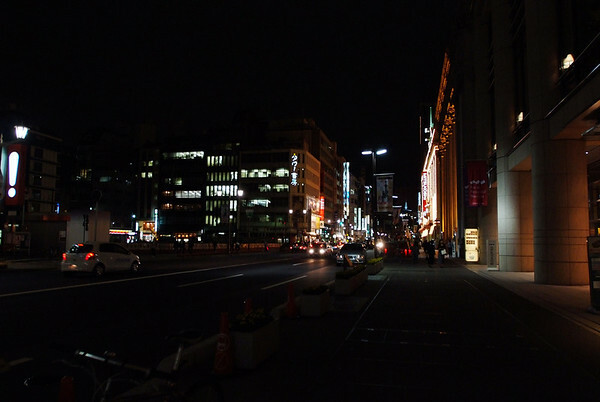 where are all the lights and show along with anime and gadget shops?! Most of all where are the scantily clad women!? This was as bad as the time I was watching the anime call Princess princess which a female co worker had loaned to me and I discover it was an anime of guys dressing up as cute girls and the anime began with the picture of a cute girl which suddenly spoke with a guy’s voice thus shattering all my beautiful perception of that anime. 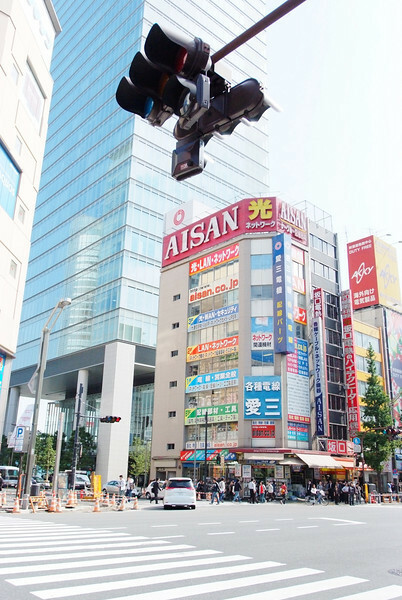 Fortunately, you needed to turn LEFT and go STRAIGHT THEN you would see what my vision of Akihabara was like. I had finally arrived, at this point I should make it known that I had to put away my camera as 99% of the shops I went into had a no photo policy and thus I was unable to take any photos. (Though I did sneak a few shots). We blasted through each of the shops we came by, anything that caught our attention. I had a complete cognitive mental shutdown as I stared dumbly at everything and anything. There were so many things to see in every shop that I could have spent 8 hours or so in just one shop. After spending a few hours looking from every shop that interest us, we decide to grab a bite. Here is where I had my first encountered with food vending machines (not pictured here as the machine was inside the shop), where you could choose what you wanted to eat from a machine, inserted the amount, and get a card which you then hand to the waiter or waitress who would then bring your order in a quick and timely fashion. 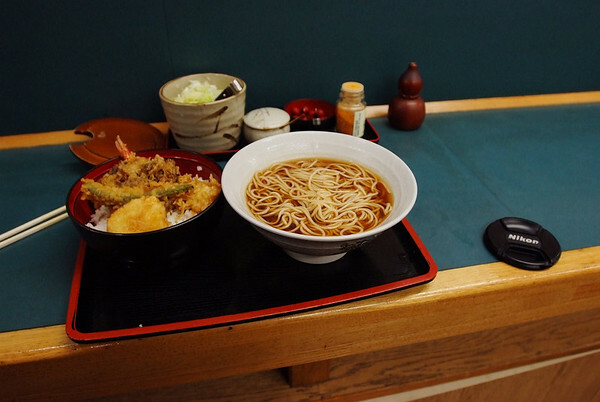 The food looked real good and was cheap, I think it was 750 yen which is about (RM 22.5) okay, I admit back in Malaysia I could live off RM10 for the whole day and be stuffed but we’re talking about relatively here as I soon learned. 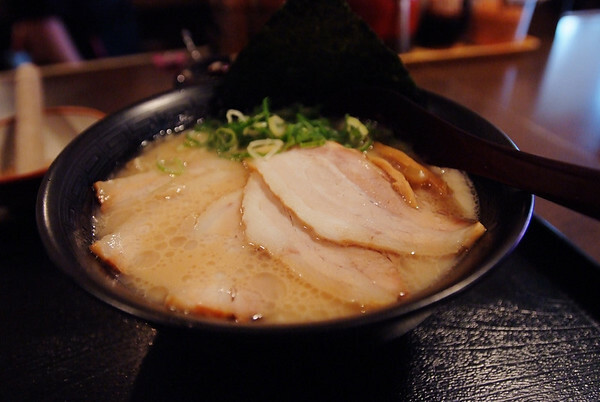 I had orderd pork ramen and dang! it was good! Not like the crap pork we have in Malaysia. I then notice this establishment. 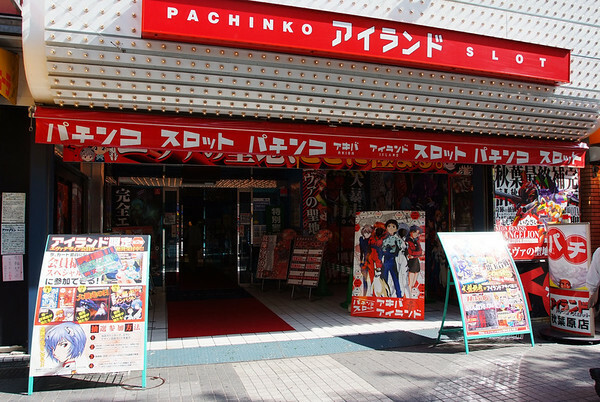 I had seen this places call pachinko when we were making our way back from the hotel to the Kanda train station and CC told me that these we gambling slot machine joints but instead of playing with money, they would gamble with small ball bearings which could be trade for real money. 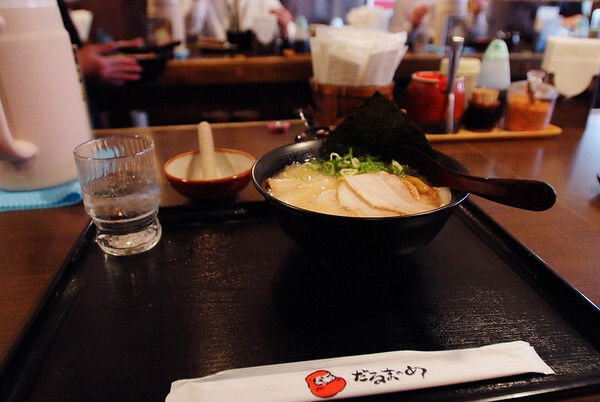 This allowed them to operate them legally as gambling with money is illegal under Japan laws. These places would have an incredible amount of themes (as I would later seen some base on novels, movies, games and places) but the most common one seems to be Eva. They even had a life size models of Asuka and Rei when I went in there to see what it was about, I had wanted to take a picture but there were too many people and security was about since photos were not allowed there. 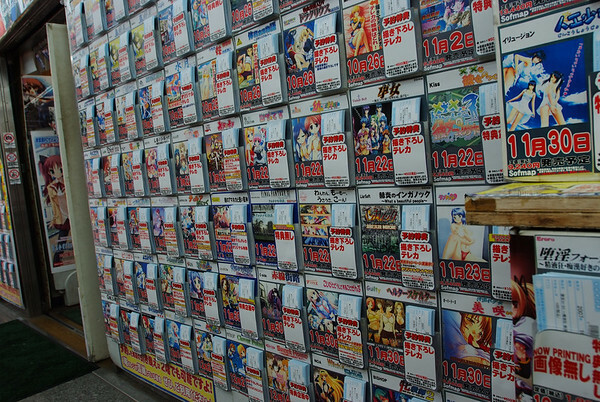 I soon realized that everything in Akihabara was anime theme no matter what they were selling. 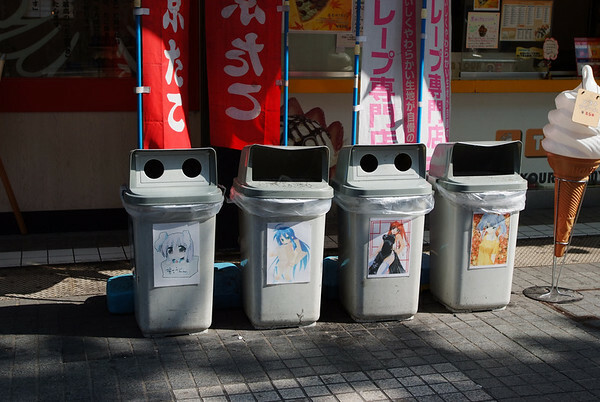 Even the recycling bins and trash cans were anime base, from left: a cute bunny girl in a box, Izumi Konata from Lucky Star, Asuka from eva in a black chongsum, and Ruri from Nadesico. Inside you would see all this plastered on the wall advertising all their products on sale or any new upcoming products that they would be selling soon and what is the price for preorder and such. 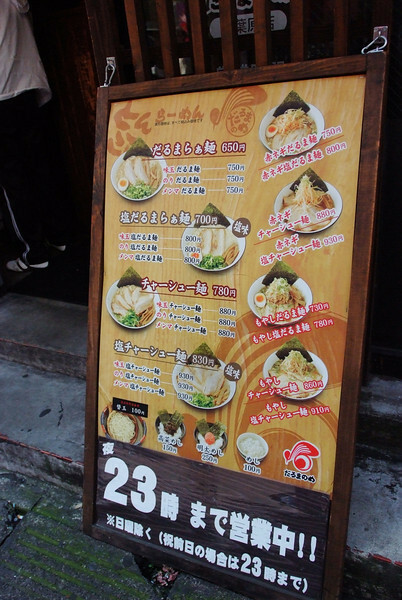 Here is another variations, sometimes you would come to one where it would have a cafe but VERY rarely as most shops and literally crammed packed and the walkway path would be so narrow it would be very ill advice to have a full backpack like I did and go in there. 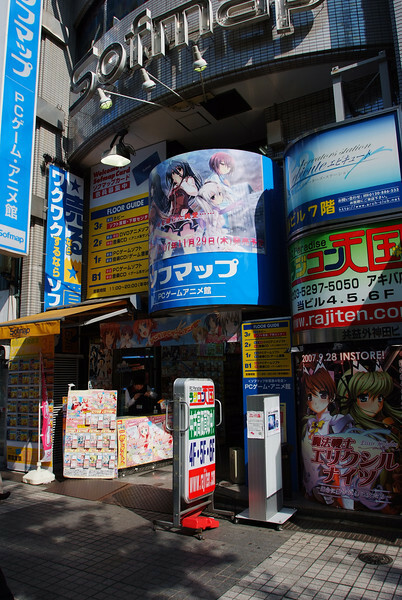 Although this was only my first day at Akihabara but let me tell you this, I have seen things in there that are so new and profound yet simple and elegant that everything seems like a piece of artwork that has been refined to the point of perfection. Whether it’s some gadget or a book or some cool toy, anything you can think of they have it there crafted to levels of quality you want it to be instead of the mass production crap I have seen. Though you do pay a premium but it’s worth the quality you pay for. I’ve noticed that people here prefer to walk or ride a bicycle versus driving a car as it seems to be faster as well as cheaper. 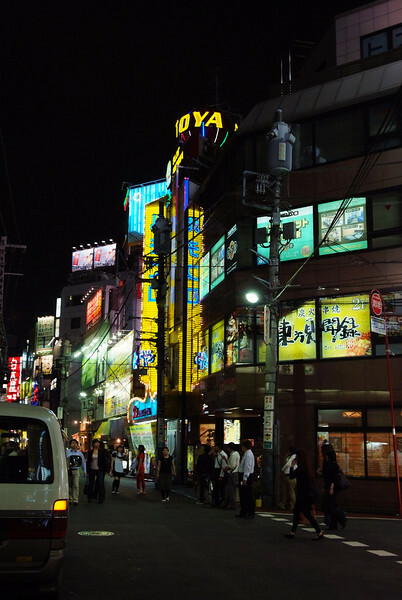 I had purposely overexpose this for whatever reason I don’t know but I think the brightness of the scene stand to convey the everything I have seen at Akihabara so far into one word. WOW….. 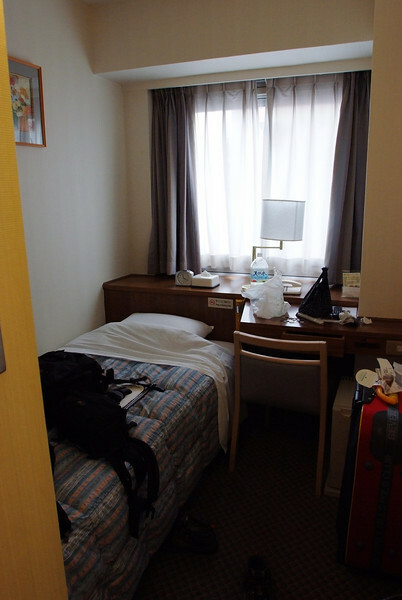 It was about time to get back to the hotel and rest up, I had bought nothing yet at the time as I knew if I was to buy something now, I would blow a lot of cash plus I had not found what I wanted. 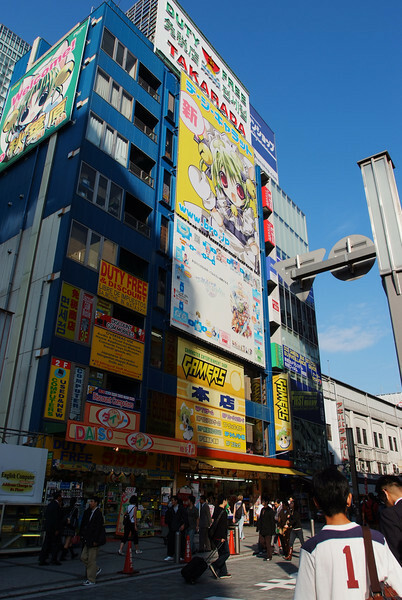 Along the way I asked CC where was the Yodobashi place I was looking for, it was nearby the Akihabara station so we could check it out later on our way back but first we had to stop at another famous anime location. 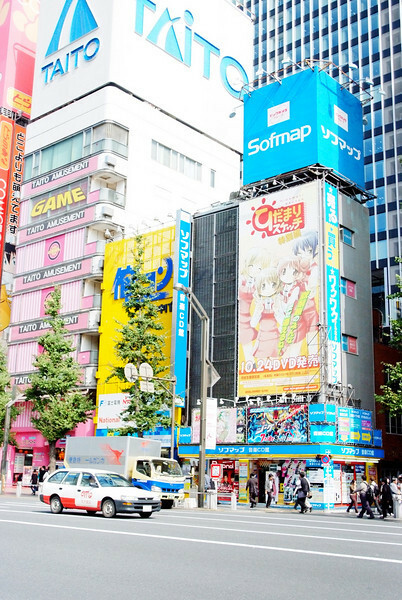 For all anime fans especially of Digi charat, this place call Gamers really does exist but you don’t find Dejiko or even Puchiko. 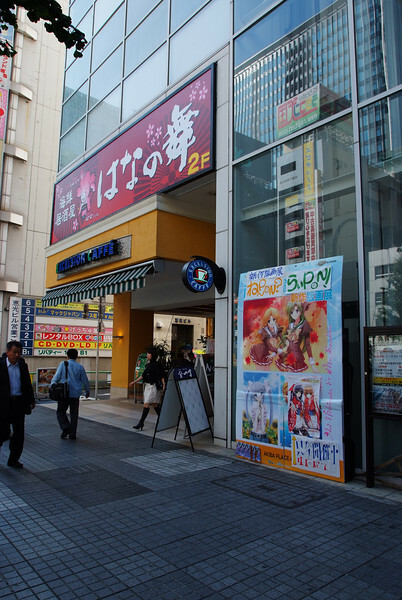 The stores spans 5 floors of anime goods ranging from mangas (first floor), light novels (2nd floor), CD/DVDs (3rd floor), figure and models (4th floor) and second hand products (5th floor) if I remember correctly. If I have made a mistake, drop me a line and I’ll correct it and credit to you. Again I could not take any pictures as they are not allowed and they were willing to enforced it here as they asked me to holster my camera away. 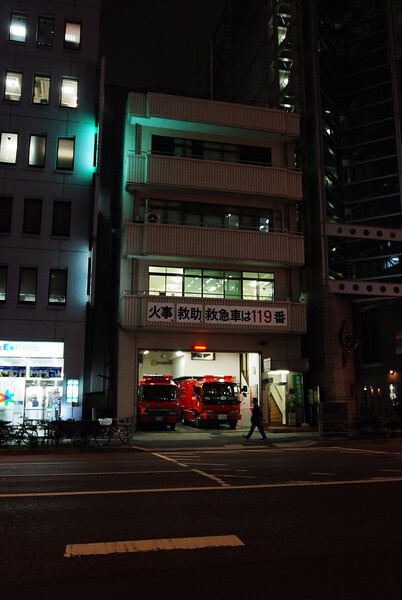 Eventually we did make our way back to the station but then I asked CC if we could head to the Yodobashi complex and he was fine with it. We managed to get there and the place was HUGE! 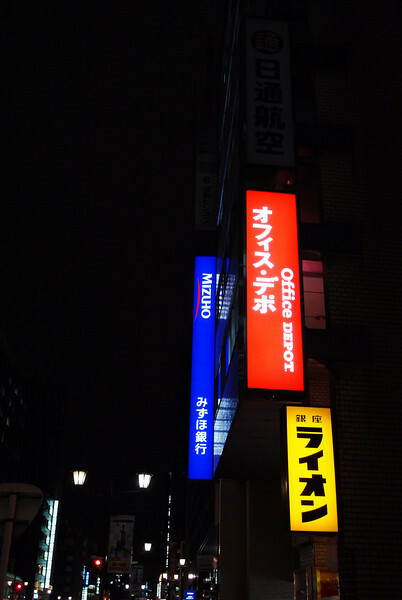 It was a shopping complex for nerds! it spanned about 6 floor I think, I only went up to the 3rd floor only as that was were the camera stuff was. I wanted to take some pictures but again the no photos rule was enforced here (but that didn’t stopped me a few days later when I managed to sneak a few shoots). I managed to locate the film section and bought some long sought after film. I made a note to myself to buy a small stock before coming back to Malaysia. They had free internet connection in the room but I didn’t bring my notebook and I do regret so at that point as cyber cafes here are far and rare here in Japan. So I rarely made any updates here. I’ll make it a point to bring a notebook next time. 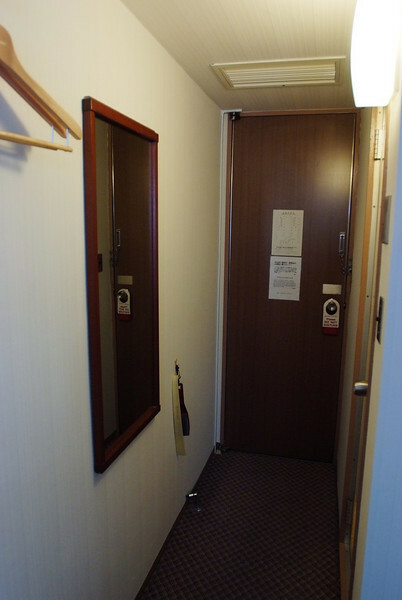 Now about the bath room, it’s a shared public bath that’s located at the basement of the hotel. 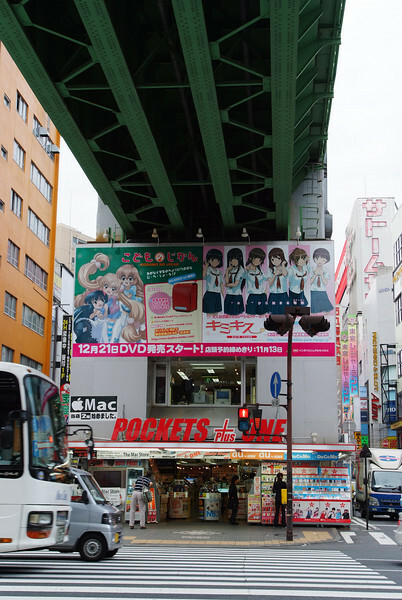 When I went down there, I was never so glad that I was short sighted as it was like in the animes……. 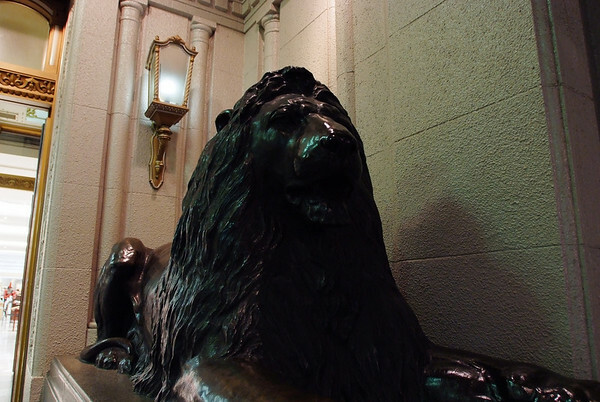 open public bath. After taking my bath, I went up back to my room to catch some sleep. I was later then awaken by CC who asked if I wanted to go have dinner now (it was 7pm by then). So I agreed and then we headed out to see what we could find. 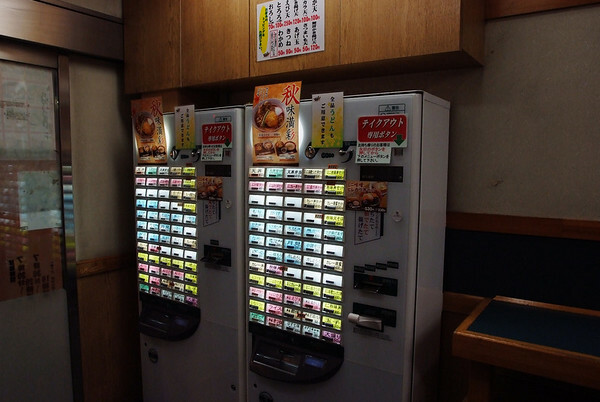 We then came by one of those vending machine restaurants. 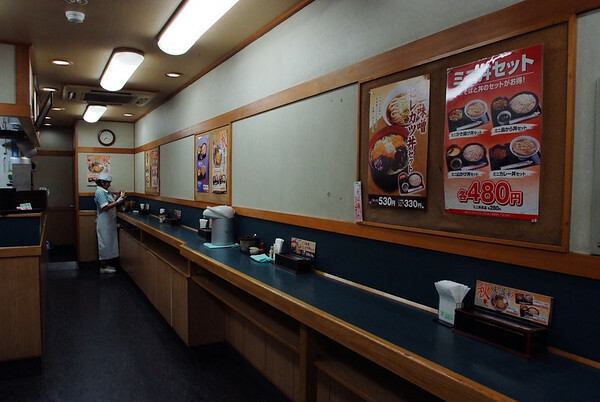 Which had no chairs as this type of places where people who wanted to eat but in a hurry. Next CC suggested we check out a shopping complex nearby as it was very renown (which I didn’t realized was meant for the super rich). As we stroll our way to the this place, I came by another camera shop and decided to check out their offering, I found out they while their selection of film was smaller, but they were cheaper then yodobashi with what they did have so I made a mental note later to come back here to buy my film stock supply. The night was cold though I wish it was colder and I decided to take pictures of the night life in Tokyo and to also test ISO 32,000 on my S5 pro. My friend had recommended to use a tripod but I was still too tired to bring it along. I have to admit, my s5 pro performed wonderfully. I didn’t take any pictures when we got in there as there was no way I was prepared for what we saw in there. This place was top class! It was like checking into the Hilton hotel! All the staff you pass by would bow to you like your name started with Donald and ended with Trump. Even there was someone manning the elevator! Also it should be noted that all the men and women working there were all top class good looking! I wonder what they were being paid, every detail on them was perfect, their timing and the politeness were beyond world standards. I felt so out of place and the way I was dressed. After we went around a bit we decided to head to the hotel and rest up. This place was really meant for the super rich, all the staff would bow to us bidding us farewell it was somewhat embarrassing that we didn’t even buy a single thing. After we left, we laugh our heads off that it was an experience we could relish that we were treated like millionaires. So with that, we headed back and rest for tomorrow super burn run! Today was only recon, tomorrow would be the real thing. I’ll post about that in my next entry, so until then pleasant dreams! 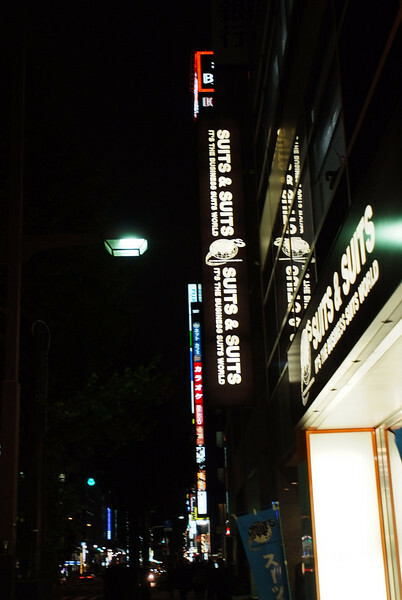 This entry was posted in Japan, life, photography, PhotoReviews, vacation. Bookmark the permalink.